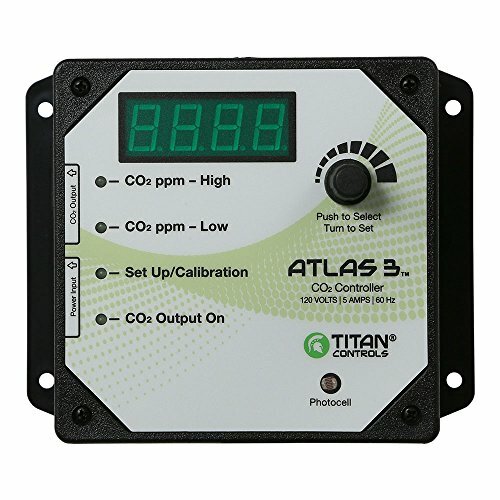 Controls and monitors CO2 from 0 to 5000 parts per million (PPM). CO2 enrichment or CO2 exhaust features. ETL listed product to UL standard 917. Easy to set-up and operate. Plastic enclosure resists dust and moisture. 120 Volts/5 Amps/60 Hz. 3 year warranty.